Time For A Glass Of …. Home > H2O News > Time For A Glass Of …. Drinking purified water is good for your health. But did you know it’s when you drink it that counts? 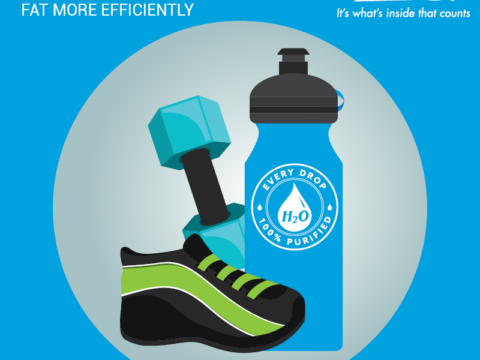 Most people reading this blog know they should be drinking eight glasses of water a day. But perhaps you don’t realise, it’s when you drink it and the type of water you drink, that makes all the difference. Let’s start with the right times to have a glass of H2O. Drinking two glasses of water straight after you wake up stimulates your internal organs, boosts your blood pressure to normal levels and kick-starts your metabolism for the day. The effects of elevated metabolism begin just 10 minutes after consuming the water and peak at 30-40 minutes after drinking, just in time for a nice, hearty breakfast. I’m sure you’ve noticed a glass of water fills you up, which is a great start if you’re trying not to overeat and it aids digestion. Water assists the body in absorbing nutrients and then helps carry the nutrients and oxygen to your cells. It facilitates the removal of waste and helps convert your food into energy. A shortage of water and alkaline minerals (which you find in water) such as calcium and magnesium can lead to a number of digestive disorders including ulcers, gastritis and acid reflux. Drinking water also works to keep the weight off. Researchers estimate that over a course of a year, a person who increases his/her water consumption by 1.5 litres a day would burn an extra 17,400 calories! So before you sit down to your next meal, reach for a glass of H2O. Now this is a bit of a strange one. It’s not the time you would naturally reach for a glass of water. But it’s very important if you suffer from high blood pressure. Your blood is almost 92% water when the body is fully hydrated. When you start to dehydrate, as you might if you’re having a hot bath, the blood becomes thicker, causing resistance to blood flow – resulting in elevated blood pressure. Dehydration also impairs the elimination of toxins through the skin and makes it more vulnerable to all types of skin disorders including dermatitis and psoriasis as well as premature wrinkling and discoloration. Many people like to have a glass or a jug of water next to their bed to keep them hydrated through the night. But you might not know that a glass before bed helps avoid a stroke or heart attack while you sleep. A study in the American Journal of Medical Epidemiology found that “participants who drink five or more glasses of water per day have a much lower risk of fatal coronary heart disease, compared to those who drink less than two glasses per day”. It’s even more important to drink before bed because it helps improve circulation during the hours when you’re at greatest risk of a heart attack. Drinking water before bed also hydrates the leg muscles, lessening those painful leg cramps that wake many people in the night. So now you know when to drink your water, now let’s get on to what type of water you should be drinking. Tap water in SA is under threat. In a recent report on News24, it stated that almost 40% of our waste-water treatment is in a critical state. And it’s only getting worse. Due to budget constraints, sanitation is not being prioritised by many of our municipalities, according to a report from the SAHRC. So it stands to reason, if our water is not being monitored and cleaned, the risk of toxins and water borne diseases is only going to increase. The solution is to filter your water with a water purifier. To get the best quality and taste out of your water, look at H2O’s range of filtration systems and portable personal water bottles. They’ll keep you hydrated with a constant supply of purified water 24/7. Remember, it’s what’s inside that counts. 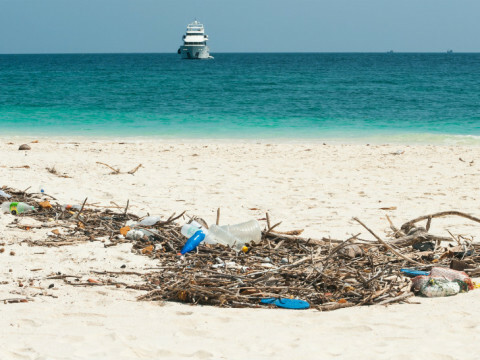 Plastic pollution is everywhere – from our land to our oceans. Every plastic bottle or bag we throw away is added to the growing pile and it’s affecting everything on our planet, right down to the corals found in the Great Barrier Reef. 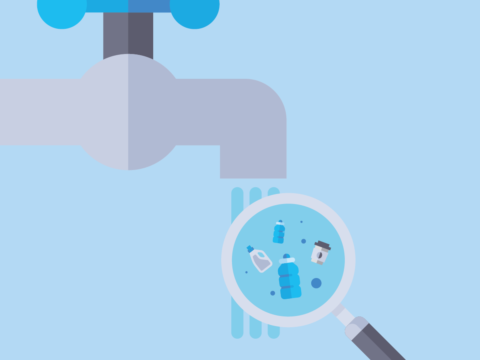 Micro plastic pollution found in Gauteng and North West – How to get rid of it.